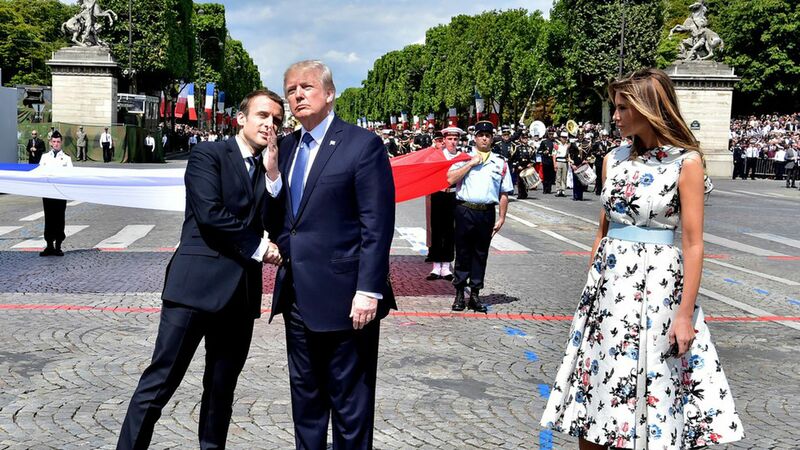 Before meeting with French president Emmanuel Macron on the sidelines of the UN General Assembly, President Trump announced he is talking with Chief of Staff John Kelly about hosting a military parade down Pennsylvania Avenue on the 4th of July after watching France's Bastille Day parade. Quote: "It was military might and, I think, a terrific thing for France, for the spirit of France. People don't know what great warriors they are in France, but when you see that and you see all the victories it was a tremendous thing. To a large extent because of what I witnessed, we may do something like that on July 4th." Flashback: Trump asked for military vehicles to partake in his inaugural parade, but that didn't pan out. About the meeting: Macron mentioned he would like to talk about nuclear proliferation as well as moving forward on the Paris Accord.